Welcome to the City of San Juan, the Spirit of the Rio Grande Valley! San Juan is located within Rio South Texas, which is the largest U.S./ Mexico border region in the country with 2.3 million people. Rio South Texas is the third-largest metroplex in Texas and 23rd in the nation, making San Juan an ideal place to locate your business. San Juan boasts a consumer base of 436,000 within a 10-mile radius. As home to the Basilica of Our Lady of San Juan del Valle National Shrine, which attracts over 25,000 visitors per week, San Juan offers an excellent tourism base that includes local, national and international travelers. The Basilica is surrounded by a 3Ú4-mile walking trail that displays the 14 Stations of the Cross with 30 life-size statues. 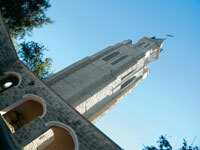 San Juan is home to Liberty Park that boasts the tallest flagpole in all of South Texas. Plus, North San Juan Park stands as one of 2008 Texas' Best "Backyard" Wildlife Habitats by the National Wildlife Federation and Texas Parks & Wildlife Department. San Juan is surrounded by abundant wildlife that can be seen in its seven acres of wetlands and nature trails. San Juan presents a canvas of culture that provides an extensive consumer base and a workforce that offers professionalism, proficiency and skill. Because of its proximity to several international bridges within the McAllen-Edinburg-Mission MSA, San Juan's prime location offers opportunities that are ideal for industrial development and expansion. San Juan offers visitors a unique look at Valley life as well as a rich shopping experience with local vendors. Its central location allows the city to present a canvas of culture that provides a colorful and exciting time for all visitors. The small-town feel to our streets, alongside the quick access to other metropolitan areas, makes San Juan special.